White-Russian/Dutch pianist Hanna Shybayeva, born in 1979 in Minsk, began her piano-education at the age of 6. Through the years, Hanna transformed from being a ‘child prodigy’ to the mature and exciting musician she is today, praised by both public and press for her deep musical interpretations, captivating energy, great sense of form and rich color palette. Devoted to music in every form, Hanna enjoys her solo performances as much as being a partner in both chamber and vocal music. When Hanna was 18, she left her hometown in search of new possibilities to learn and explore her talent. 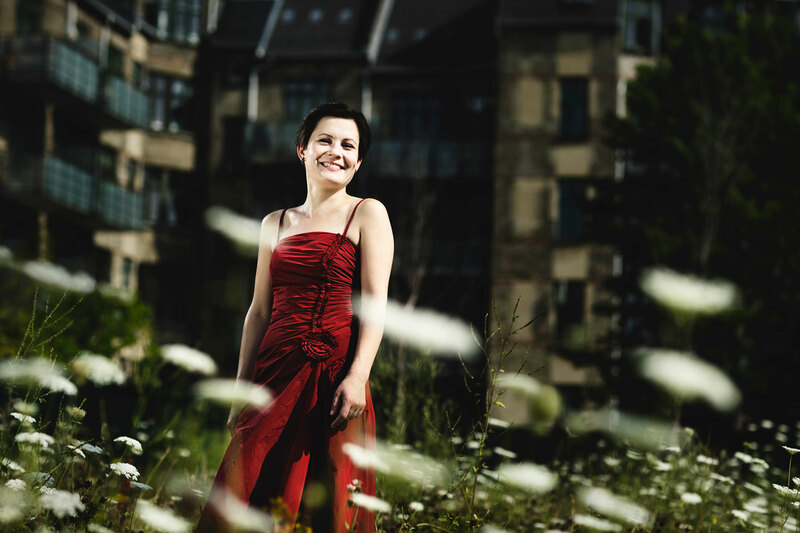 After having spent a year travelling through Europe she settled in The Netherlands in 1999 to continue her studies with Naum Grubert at the Royal Conservatory in The Hague, where she graduated in June 2005 as Master of Music, with the highest distinction. She won many prizes in Europe and the US and was awarded grants from Unesco/New Names (Moscow), the G. Soros Foundation, the Spivakov Foundation (Moscow), the Yuri Egorov Foundation (Amsterdam), Yamaha Music Europe and the Prince Bernhard Cultural Foundation of The Netherlands. Her numerous performances include The Netherlands, her domicile, and countries like Italy, Germany, Sweden, England, Ireland, The US and Canada. 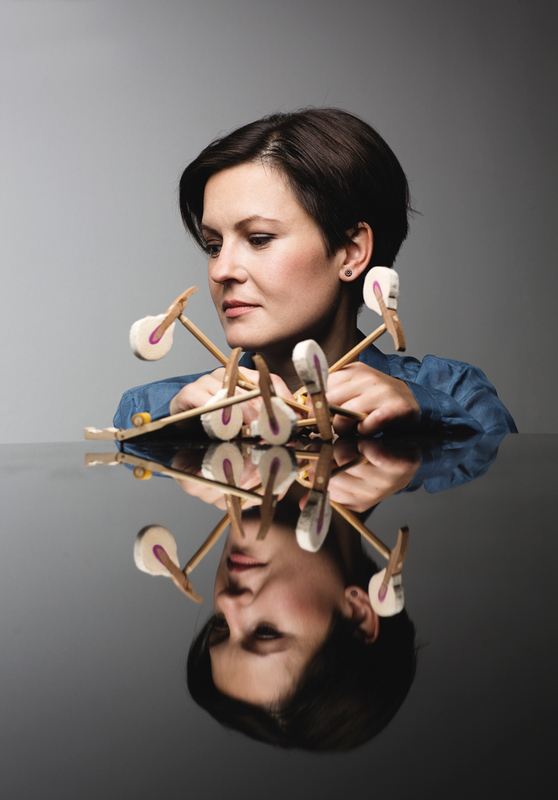 Since 2008 Hanna has been a member of the New European Ensemble, considered as one of the most innovative, vibrant and versatile ensembles for New Music. Strongly influenced and inspired by other genres like contemporary and jazz music Hanna forms since 2014 a piano duo together with Italian jazz pianist and composer Gianluca di Ienno, titled “Pianologues”; this duo draws inspiration from modern, classical and jazz repertoire, and refreshes existing music, through interpretation, elaboration, improvisation and composition. Hanna has recorded and released numerous, critically acclaimed, CD’s. She recorded for labels like Philips-Universal, ARS, Etcetera and Brilliant Classics, bringing out versatile repertoire by Ravel, Prokofiev, Chopin, Takemitsu, Shostakovich, Schubert and the complete Etudes-Tableaux of Rachmaninov. Her duo CD ‘Sounds of War’ – with violinist Maria Milstein – was highly praised by the international press and was chosen as one of the five best classical albums of 2015 by the main Dutch newspaper NRC. The disk was awarded the Edison Klassiek Award 2015 in the category Chamber Music. Hanna’s latest solo-album, Let’s Dance, was the first LP which was recorded as live direct-to-2-track analog vinyl at the famous Bauer Studios Ludwigsburg (Germany). This live concert recording includes works by a.o. Scarlatti, Chopin, Gershwin and Kapustin and is named by the press as an ‘album not to be missed’. In 2017 the recording was released on CD. In 2008 Hanna participated in a documentary film-production based on Prokofiev “The Unfinished Diaries”, produced by Up Front Entertainment Inc. in Canada. Since 2013 Hanna has held a position as piano professor at the International Anton Rubinstein Music Academy in Düsseldorf /Conservatorio Giacomo Puccini La Spezia (Italy).